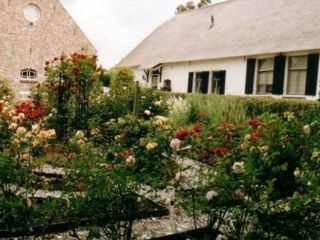 ThisB&B is located in the natural surroundings of Het Groene Hart. De Boomgaard Groene Hart offers biological products from the orchard and free Wi-Fi. Utrecht is a 25-minute drive.The spacious apartment of 100 m2 has a private entrance and features and a terrace. It features a well-equipped kitchen and a seating area with TV. The bathroom is fitted with a shower. Apartment price per day 1 p € 65,00, 2 p € 70,00, 3 p € 80,00, 4 p € 90,00, 5 p € 100,-, 6 p € 110,-exclusive breakfast Renting the apartment without breakfast is possible Renting the apartment for an extended period is possible breakfast 7,50 euro for extended farmers breakfast.